Now We're getting the game moving! 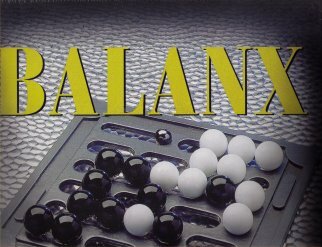 Before each move, the Balanx borad is tilted in the direction of the opponent. As a fresult, the 20 solid glass marbles roll into new and interesting positions. The winner will be the player who can keep his eye on a rapidly changing situation, and move his marbles to his finishing corner.